The ASHÉ Foundation is a non-profit organization committed to changing the lives of the millions of children in African nations who have been orphaned by the devastating effects caused by HIV/AIDS, Wars and Poverty. Through our efforts, we will gather and distribute shoes, clothing, other necessities, and services to aid the disadvantaged and underprivileged children of African nations. In March of 2008, I received an email that included the photo of a pair of feet wearing "plastic bottle flip flops.” There were other heart wrenching images but somehow that image struck a chord in me and I felt compelled to act. That image haunted me for months until finally I discussed with my Mother my desire to make a difference. She encouraged me to start the non-profit organization that I had been thinking and talking about for years. I then pledged to myself to collect one (1) million pairs of shoes and distribute them to the underprivileged children and adults in Africa. So with that, The ASHÉ Foundation was born. ASHÉ, also spelled "Ase", "Axe" or "Ache", is a Yoruba word which means "the power to make things happen". Depending on the context in which the word is used it also means, "the ability to make whatever statement you make come to pass or happen", "the ability to compel nature, animate or inanimate objects to bend to your will", "so be it", or "so it shall be". I then spoke with several close friends and family members who immediately endorsed the idea and encouraged me to move forward. Therefore, I began networking my idea within the San Fernando Valley community. 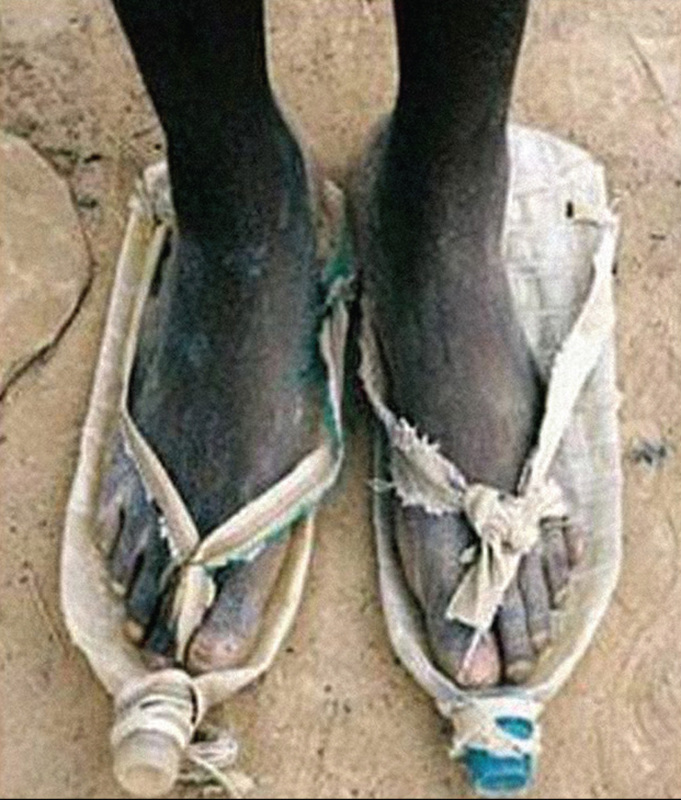 At that time, I had no idea how I was going to get those shoes to Africa. However, I began collecting shoes anyway. Immediately things began to fall into place. Close friends, Jorge and Mampye-Matlou Maciel, of the Kanimambo Foundation informed me that they knew just how to transport the shoes to Africa. Thus, a partnership formed between the two non-profits to transport and distribute "Shoes to Africa". So began what I believe is my life's work. The ASHÉ Foundation is dedicated to serving the needs of the underprivileged of African nations. Our current goal is to collect one (1) million pairs of new and gently worn shoes and other items so that we can deliver them to those most in need throughout the African continent. Astoundingly, there are 1.7 million orphans in South Africa alone, and 99.8% were orphaned by parents who have died from AIDS. Sadly, there are countless other children whose parents are still alive but are not able to care for or feed them, let alone put shoes on their feet. We urge you to help our foundation put shoes on the feet of so many in need, especially the millions of children in Africa who suffer daily from the devastating effects caused by HIV/AIDS. We will be embarking on our next mission trip to Limpopo, South Africa in August 2016. On this mission trip, we have partnered with The Lonely Road Foundation to gift 1000 school aged girls with a Subz Pad Pack. Subz Pads are a reusable sanitary pad. This will help these young girls to remain in school and not miss 5 to 7 days out of school each month due to no being able to properly manage their periods. This trip will also ensure that the items we collect will be delivered to the intended recipients. With your help, we will accomplish our goal and much more and have a larger impact on the world. We welcome you with open arms and would like to say thank you in advance for your much needed support. Please inquire today about how you can become a part of our growing organization.